Cartoonist Dan DeCarlo is most famous for his beloved characters created under the Archie Comics name, like Josie & the Pussycats or Betty and Veronica. 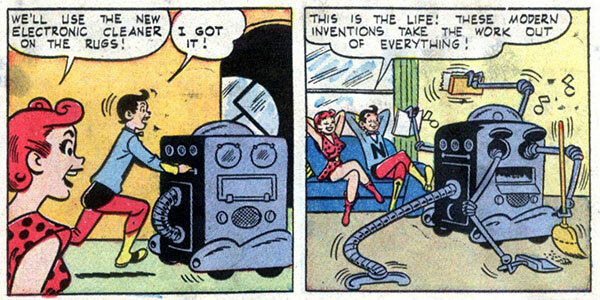 Less known is the short-lived retro-futuristic comic book Jetta of the 21st Century. 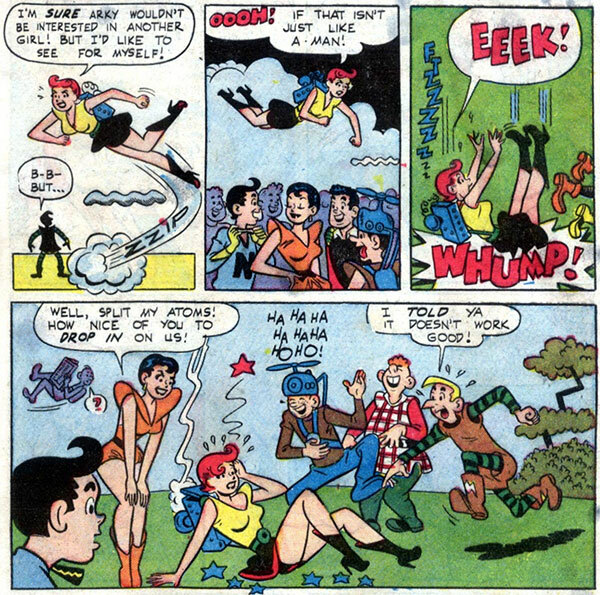 Released over three issues in 1952-1953, this comedic teen comic followed the exploits of teen girl Jetta Raye as she attended Neutron High School. Unfortunately, most of her problems revolved around her boyfriend Arky’s infidelity, with occasional bouts of technology gone awry. Set 100 years in the future in 2052, the comic focuses on new gadgets and “a new kind of teenage talk.” Reading it now, this futuristic slang feels completely dated but deliciously fun if you love this kind of retro stuff. Aside from the robots wandering around and some strange outfit choices, the plots and design align with other teen comedies from that era. 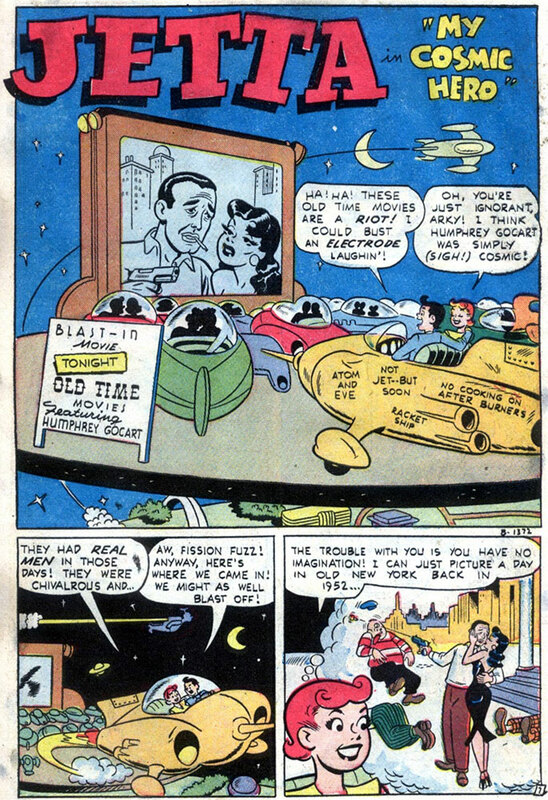 I wonder if the comic’s failure to really get creative with its vision of the future also lead to its failure to last beyond the three issues released by Standard Comics. 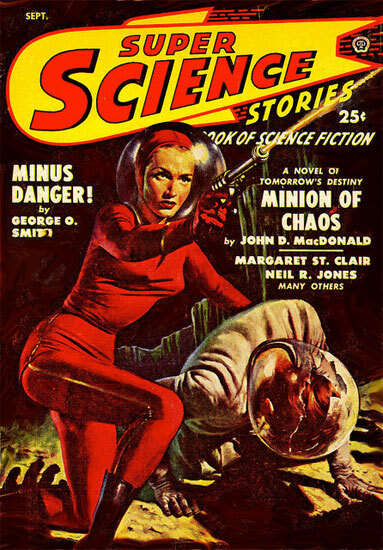 Surprisingly, the first three issues were numbers 5 through 7, an attempt to make the series appear more popular upon release. 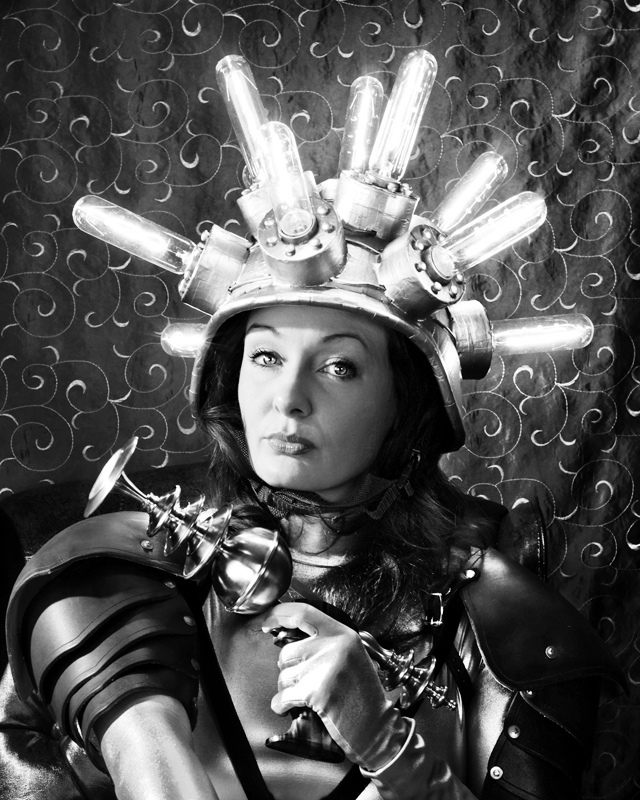 Each issue features 3 short stories of day to day life in this 1950s vision of the future. 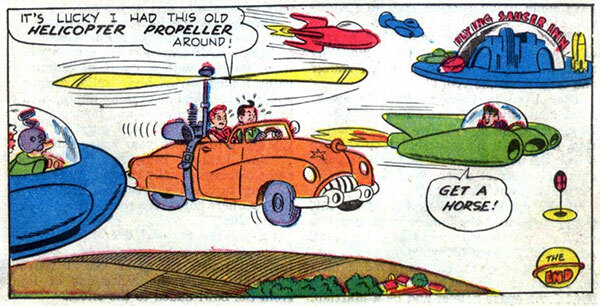 The sci-fi trappings are loosely applied in conflicts like Jetta’s boyfriend Arky crashing his jetmobile (an atompunk style flying car) just before the Prom. 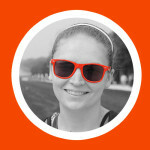 Don’t worry–the problem is solved by borrowing her dad’s “antique” car. There are panels here and there throughout the three issues that feature some interesting retro future art. 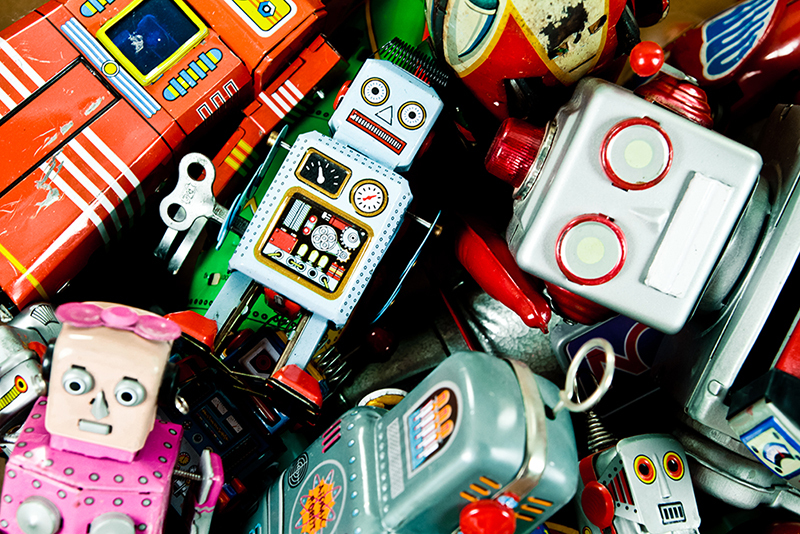 Jetpacks, anti-gravity belts, and plenty of retro robots make appearances. 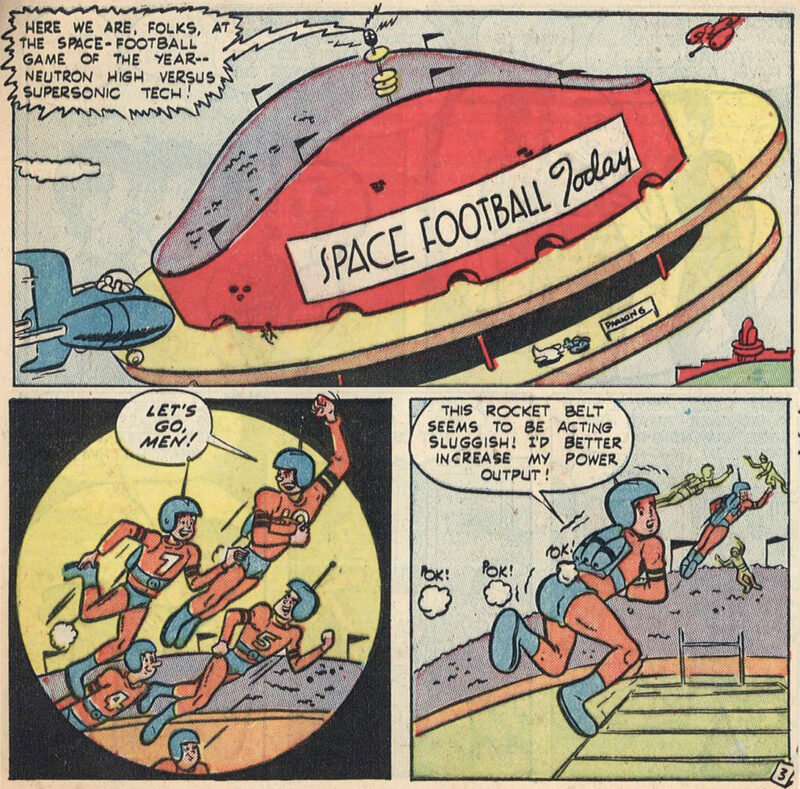 Occasionally, Jetta and Arky blast off for dates in space, where they don’t need to deal with pesky space suits. 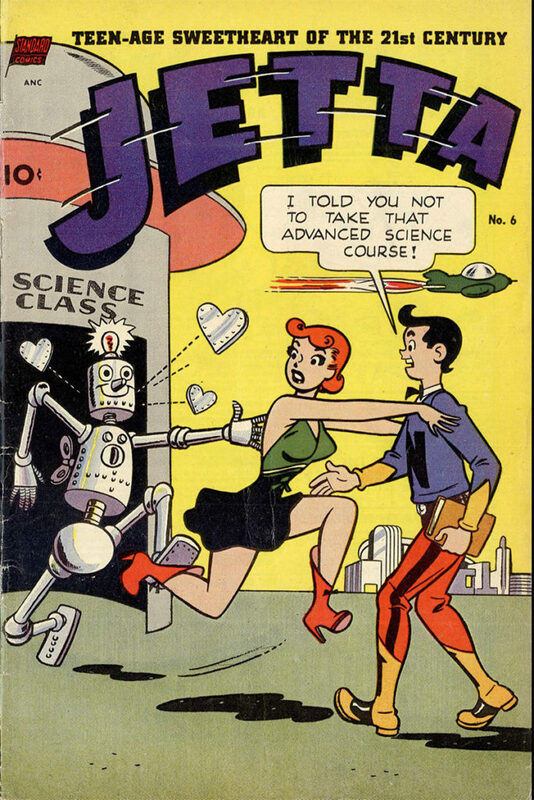 The series didn’t have the sales to support more issues and Jetta was left as a collector’s bit of trivia until modern interest in Dan DeCarlo was enough to inspire a reprint of the series. If you’re interested in reading Jetta’s adventures yourself and get a chance to check out more of the cool artwork, you can buy the reprint of Jetta of the 21st Century on Amazon or download user-submitted scans of the original comics from the Digital Comic Museum.